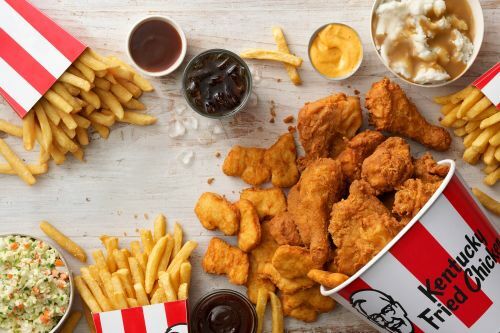 Menulog delivers for KFC - Northland Mall so you'll be able to track your courier on a map. 1 x Original Recipe, 1 x Original Tender, 1 x Wicked Wing, 1 x Snack Popcorn and 1 x Slider Aioli. 10 Pieces includes 2 x Sauce and 6 Pieces includes 1 x Sauce.